Are you a delusional parent? Here’s how you can come out of it. It’s genetic I guess. We always believe that our children are the sweetest, smartest and the greatest bundles of joy around. We think they are way better athletes than they actually are. We over believe in our children. Optimism is good. But often coaches face trouble when parents tend to totally overlook concern areas of their children like overweight or sports weakness or any fitness concern. If you do not acknowledge the concern area, how would you address it? Understanding your child, her performance and her overall personality objectively is very important. As a parent its painfully difficult to do so. Nonetheless it’s important. Here are a few points to help you see things how they are and not how you think they are. 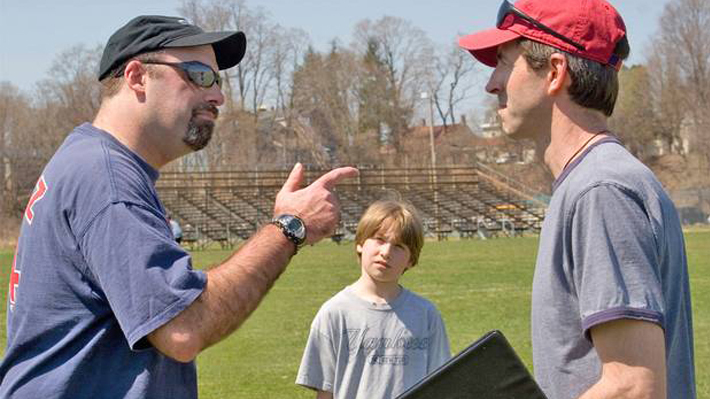 Talk to the coach: Mostly parent-coach interactions are more inclined towards the child’s sports performance. And that is mainly because that’s how most parents want it to be. But whenever you get a chance to, do have a frank talk with the coach. Make a note of the things you need to specifically work on. Talk to the child: Ask you child about all the difficulties or shortcomings she is facing. If there is an area of concern for her, she will most likely know about it and may speak it out too. Go easy on the child. She might not acknowledge the pain instantly. More so, she may not be willing to share her weakness so soon. Be in the stands: Practice session or game day, be in the stands. Observe your child amongst others in the team. Watch her tact and game sense. Although there’s a lot you can do but these steps can help you a long way in getting an objective picture in your head. Remember, this exercise is just to face the fact. Do not, under any circumstances, push the child to the wall for her weaknesses. Talk to the child, motivate her, spend some no-agenda time with her. Any extreme, whether ignoring the problem or nagging the child about the problem, would have a very negative impact on the child’s psychology. It would need a lot of maturity, sensibility and sensitivity to deal with the situation. You might need counselling or professional help. Talk to the coach or the doctor and please do take professional help if needed.